The Rental Owners Association is a member-based, non-profit organization of residential landlords and property managers in Lane County, offering education and support through monthly meetings and bulletins as well as available Oregon-specific legal forms, educational programs, peer advice and legislative advocacy. ROA members include landlords and property managers committed to practical, legal and profitable property management practices seeking education and sharing information and solutions for successful residential property management and tenant relations. "Unlocking the Door to Successful Property Management"
at 205 W. 10th Ave. in Eugene! LANDLORDS, Property Managers and Brokers, Educate yourself and "Join the Club!" The MAJORITY of our membership is made up of property owners that own one to six rental units - it only takes one to get into trouble. Know the laws. Did you know...when you join ROA, a portion of your membership dues are sent to Salem to help the ORHA Legislative Director, Jim Straub and the ORHA Lobbyist, Shawn Miller, fight for a fair balance in landlord/tenant laws and to promote equitable housing policies between landlords and tenants. Joining ROA means you support landlords and the need for legislative advocacy. 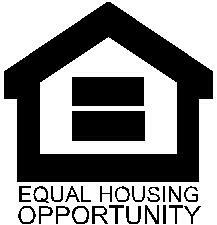 Refer landlords you know to join ROA to strengthen our base support. of what Lane ROA has to offer? Attend one of our monthly general meetings to see what it's all about! The first hour of our general meeting is a Live Helpline for Landlords - bring your problem questions and get them answered. Listen to what other landlords are asking and how to handle the problem, legally. The meeting also includes a complimentary single-serving buffet dinner AND a keynote speaker (a judge, attorney, etc.). We also sell Oregon-specific ORHA forms at the meeting. General Meeting Admission is $25 each for non-members and $17 each for members (beginning March) - pay at the door. Join ROA as a "Regular Member" and you'll receive a NEW Member Packet that includes one FREE admission to a general meeting, approximately $75 worth of ORHA Oregon-specific Move-in forms for one rental unit, an email subscription to our 36-page bulletin, discounts on Lane ROA workshops and immediate access to our member Helpline, the number one reason why landlords join! See our Upcoming Events schedule below for the next general meeting! Members will tell you that joining ROA in Lane County is the best Landlord decision you'll ever make! Landlords, do you also own a business that you would like to promote to other landlords? Become a "Dual" Member and receive 25% off the lesser membership! Too busy to inspect your properties? garbage service by their landlord! and to learn how to avoid situations like this. or towards ROA bulletin advertising. Are you interested in constructing an accessory dwelling unit (ADU) on one of your Springfield properties? Do you want to help fellow community members in need? Need A Tenant Screening Company? If you're an ROA Member, tell them! and receive $10 off each book! local ROA office to purchase blank ORHA forms. If you need blank forms mailed to you, please call the ROA office in Lane County at 541-485-7368.
on your website without permission?